When a disaster strikes, individuals and families living on the street are among the most vulnerable populations. Persons experiencing homelessness have little or no resources to evacuate or shelter in place, stockpile food, and access medications. 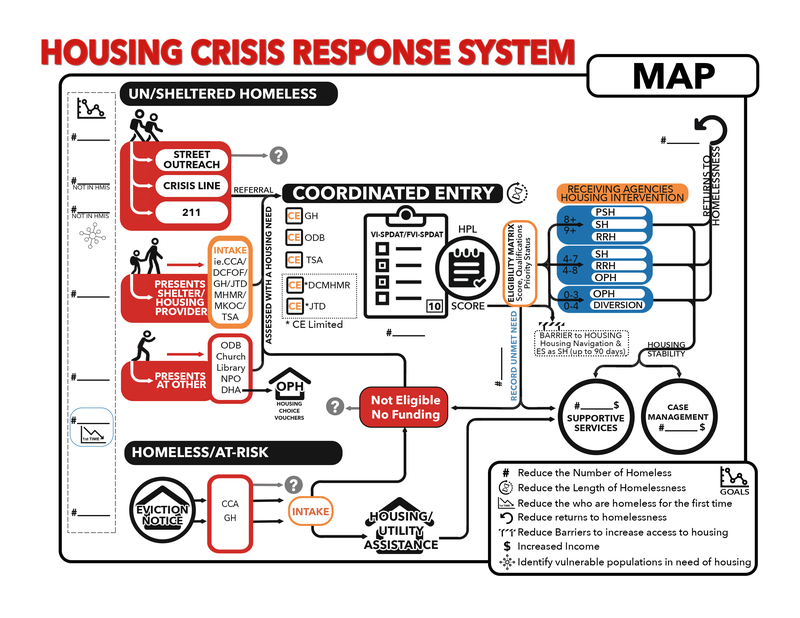 However, communities and individuals can – and should – plan in advance for emergencies, in order to better help homeless populations if and when a major disaster occurs. Weather-related disasters continue to be a threat: the Northern Atlantic Ocean hurricane season runs from June 1 to November 30, and tornados and wildfires are a growing problem around the country. As part of SNAPS technical assistance, CoCs and grantees can request TA to prepare for, respond to, and recover from a major disaster. Questions and requests for Technical Assistance can be submitted on the HUD Exchange. CoC and ESG recipients, subrecipients, contractors, and program participants should register with local emergency broadcast mechanisms listed below that will alert them to an impending disaster. These alerts can provide individuals and families, as well as service providers, the information they need to act when a disaster occurs. CoCs and service providers should ensure that they, and others in their CoC, understand the resources that will be available to program participants during a disaster. Evacuation, shelter-in-place, and other plans may differ based on the part of a city in which a unit is located. For example, service providers can help program participants become familiar with local emergency evacuation routes, particularly when helping someone move to a new neighborhood. Or, they could help program participants develop their own plan of action for family members during a disaster. Become familiar with state and local resources in addition to national and Federal resources. View state government websites and other resources. Download the FEMA mobile app designed for phones and tablets with disaster safety tips, an interactive emergency kit list, storable emergency meeting locations, and a map with open shelters and open FEMA Disaster Recovery Centers (DRCs). For more detail on planning for disasters, review the Directory of Disaster Response and Recovery Resources, which provides an outline of the programs, projects and other resources available to a community around disaster preparedness, response and recovery. View additional resources to help a community and individuals prepare for a disaster. View additional resources for communities and individuals that have been impacted by a disaster.